When I was a child, my father built a high fidelity system and, in the evening, his friends came over to listen to records. I grew to love music. My grandmother realized I was a musician so she gave me the piano her children had used. Later, I received as a reward the above-featured image: The Child Händel. It is monochrome: sepia and ivory, but I thought it was a beautiful picture. After I was married, I had it mounted on a board so that I could hang it on a wall. It has since followed me, from house to house. However, I could not remember the name of the artist who had created the painting. The name of the artist was removed when the print was mounted. I found it looking for images of Händel but I also found a book in which it was featured. 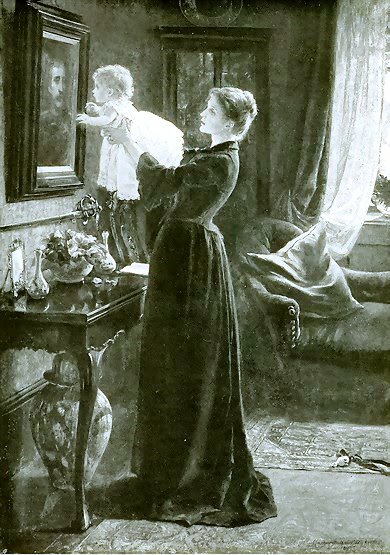 The artist is Margaret Isabel Dicksee (22 January 1858 – 6 June 1903) and the painting is one of two paintings Walter Shaw Sparrow (1862 – 1940) selected when he published his 1905 Women Painters of the World, from the time of Caterina Vigri, 1413–1463, to Rosa Bonheur and the present day. The second painting is In Memoriam. 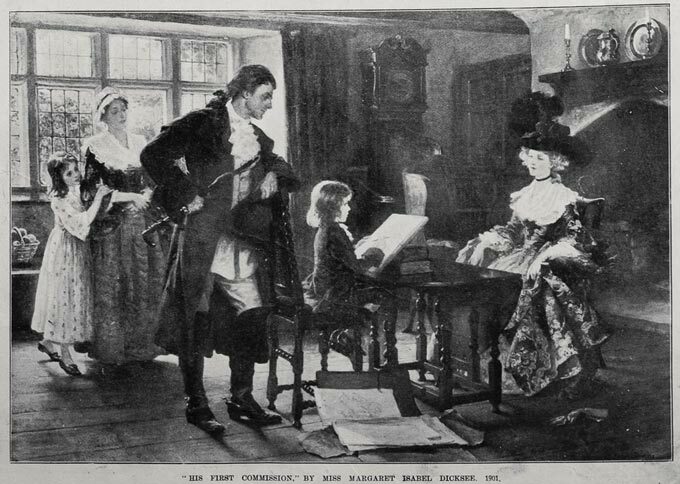 Several of Margaret Isabel Dicksee’s paintings are well-known pieces. 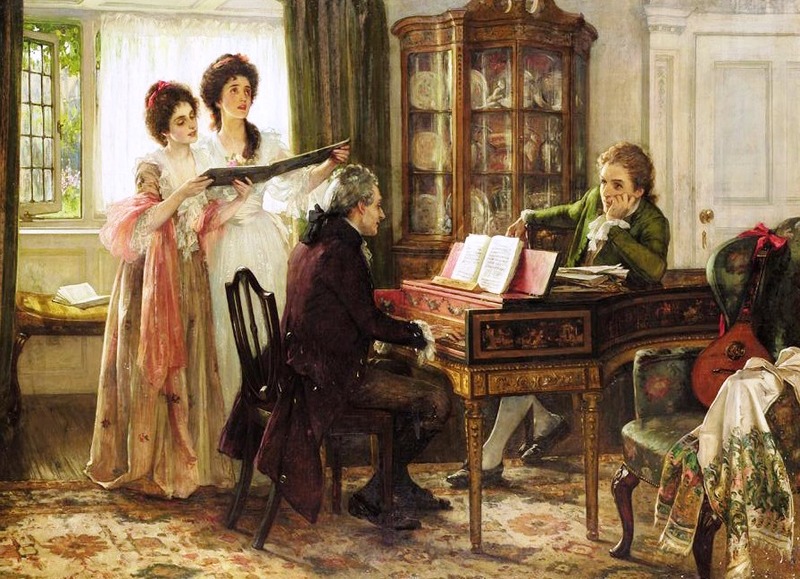 Her painting showing Richard Brinsley Sheridan at the Linley’s is a familiar work, but its fame may rest, to a certain extent, on its subject matter is Sheridan at the Linley’s. Sheridan was the Right Honourable Richard Brinsley Sheridan who married Elizabeth Ann Linley, an accomplished singer. Dicksee also made a painting of Swift with his Stella. But is it the Jonathan Swift? 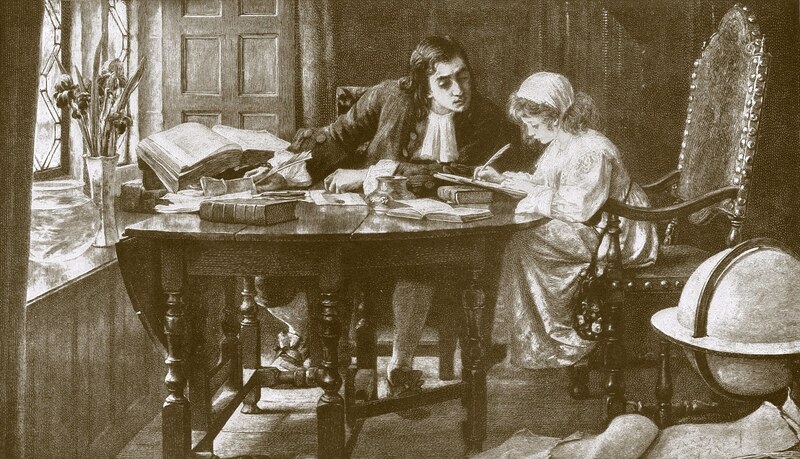 Jonathan Swift’s Stella was a grown woman, not a child. 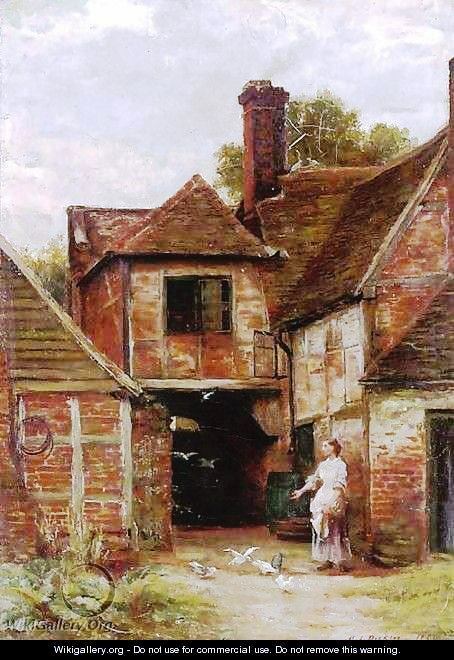 Although several of Miss Dicksee’s paintings portray identified and historical figures, her work can also be associated with genre paintings, or scenes from everyday life. This is a characteristic of her art. You may also notice a theme: learning and teaching.